A visit to the renowned RANSAR listed birding site of Inskip Point was high on my list of priorities for this trip. There were still some migratory birds in residence all showing lots of breeding plumage, feeding at low tide. I have to wonder why these frequent flyers return annually for a stop overin this area. 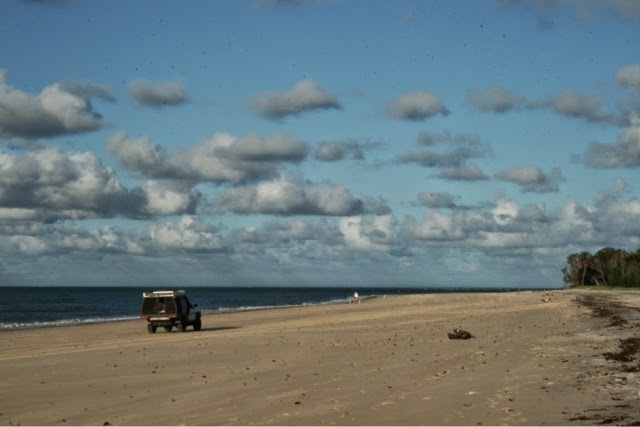 The Great Sandy NP, is all about the 4WD, the beaches a far from being safe habitats but busy access roads.We stayed at the camp ground at Inskip point and I was surprised that nearly everyone had bought their dogs along with them. Hardly ideal for nesting sites for endangered birds species. How not to exit a camp site. Dusty took a wrong turn on our way out of the campsite and ended stuck in the sand. Fellow campers stood around and offered advice so we unhitched the venter took the bikes off. Then “Tiney” arrived and hitched up his 4bee with some slick knots on a borrowed rope of help and we soon back on the road. 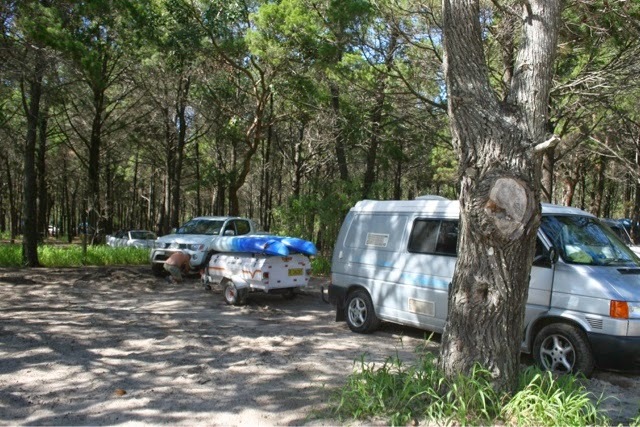 We have headed back south to Boreen Point looking for some paddling and fishing. The water hasn’t cleared after the heavy rain at the weekend. We will call into Noosaville tomorrow to collect our new shade screen and then off to Eumundi Markets.